As the 20th century progressed and factories closed or moved out of the city, urban decay took hold of the area and by the 1980s Broad Street became a place many avoided. Drugs and criminal activity permeated the area, derelict buildings with vacant storefronts peppered the street, and working people began moving away. Bars and clubs moved in, and gang activity became rampant. By the late 1990s, however, the police department increased patrols to help clean up the area and a new wave of Polish immigrants began to arrive—this time not factory workers and laborers, but business people who settled on Broad Street and opened bakeries, grocery stores, restaurants, travel agencies, and more. It is estimated today that of the 100 storefronts running up and down Broad Street, 70 percent are owned and operated by Polish Americans. 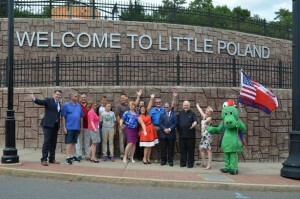 In 2007, local residents and business owners formed the Polonia Business Association and in 2008, with the Association’s urging, the city of New Britain officially designated the Broad Street area “Little Poland.” Recently, the city allocated millions of dollars for improvements to Broad Street that included streetscapes, new lighting, brick sidewalks, and wayfaring signs that share the area’s local history. “History.” Sacred Heart Church, 2016. Link. “Little Poland Festival,” 2016. Link. “Polish American Foundation,” 2016. Link. Shea, Jonathan D., and Barbara Proko. The Polish Community of New Britain. Charleston, SC: Arcadia, 2005. Stacom, Don. 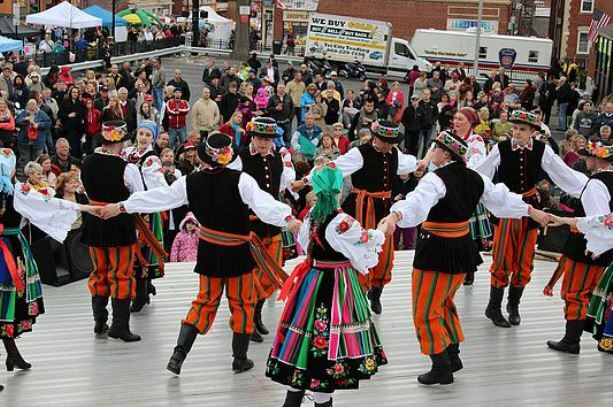 “As Many Ethnic Neighborhood’s Falter, New Britain’s Little Poland Is On The Rise.” The Hartford Courant. August 16, 2015. Link. Mahoney, Patrick. 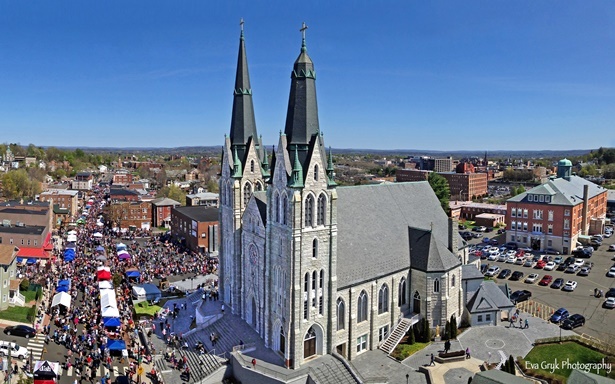 “Connecticut’s Little Poland & the Revitalization of New Britain’s Broad Street.” Examiner.Com, September 10, 2014. Link.